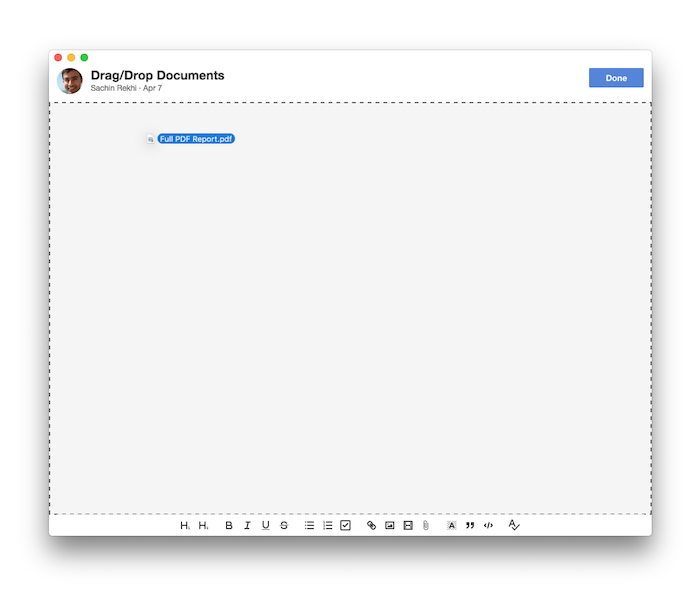 To make it even faster to upload documents, you can just drag documents from your desktop on top of the note editor. The documents will automatically be uploaded and inserted into the note. You can drag documents not only from your desktop but also from other apps like iMessage. Unfortunately, Microsoft Outlook does not directly support dragging files out of it into apps like Notejoy. To enable drag/drop from Outlook, you can take advantage of a third-party extension like Outlook2Web. To learn more about uploading documents, click here.